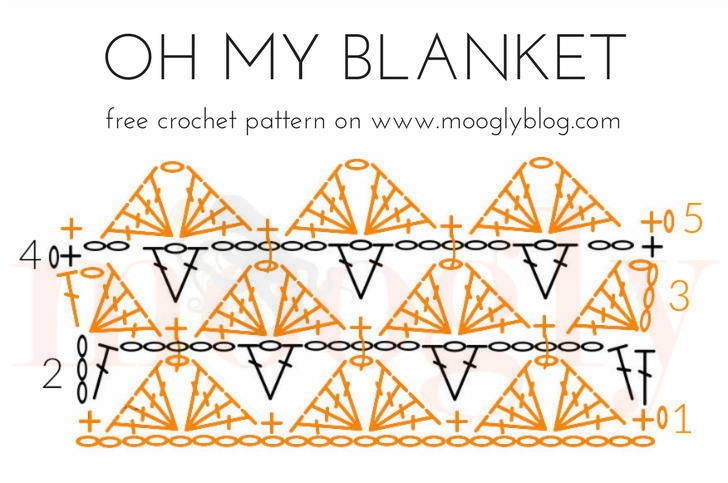 The Oh My Blanket is a fun pattern with lots of possibilities! 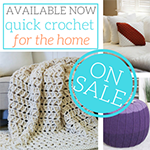 The free crochet blanket pattern includes lots of size options, and you can use the basic pattern to create lovely comfort shawls as well. 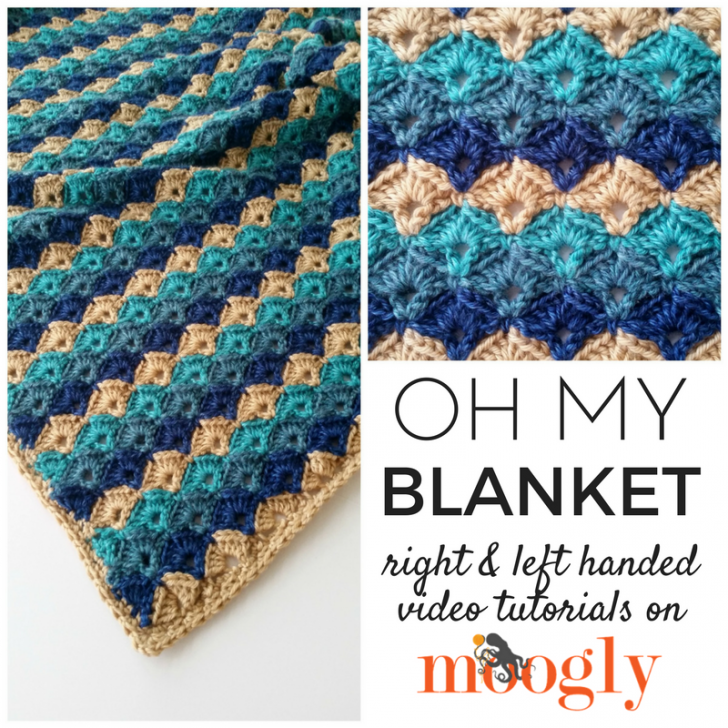 And to make it even easier, here’s the Oh My Blanket Tutorial! And per reader request… here’s a chart! 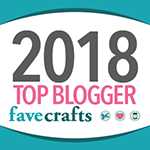 The Oh My Blanket is the latest addition to the Oh My Collection of free crochet patterns – including the Oh My Hat, Oh My Cowl, and Oh My Mitts! Is there a pattern you think is missing from the collection? Let me know in the comments! 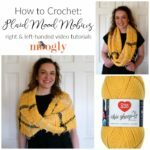 And I hope this tutorial makes crocheting your own Oh My Blanket easier for you – thanks so much for watching! Both videos are the left handed version. ? I’m sorry about the mixup Rachel, I have fixed them now. One is mislabeled within the video – unfortunatley we were unable to catch that til after the fact. 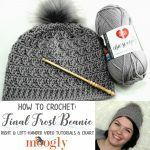 have you ever tried to make this with a variegated yarn ? Did it turn out well ? This blanket looks so beautiful… Thank you so much!!! 😀 I’m so glad it helps, thank you Pauline! Hi Nandini! What can I do to help you? What part of it is giving you trouble? hello Can you do this using the no chain DC foundation? I find that working directly into a chain is very difficult for me. Thank you. I love the pattern. Your tutorial was great. 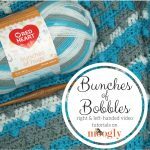 I cannot find the button or link for the printed pattern for the Oh My Blanket. Please help. Hi. 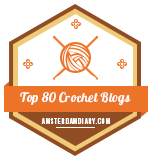 Are you able to do this like a C2C? How would you do a decrease? I love this pattern and the colors. It actually reminds me of a peacock with the colors and the shape of the pattern. Oh my goodness, I love this pattern and I haven’t even finished. 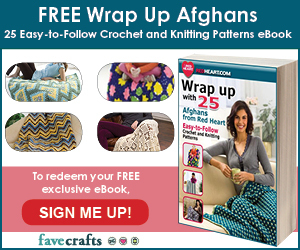 I was looking for a afghan pattern for a woman friend and I really don’t like granny squares. I made a sorta native American motif but thar seemed to manly for her, and then I got on the shell motif but they seemed more suitable first a baby blanket and then I found your wonderful pattern and it is coming out so nicely. hello, i cant pull up the written directions, how many chains and rows would i have to do to make an adult size afghan? Hi. I love the Oh My pattern but couldn’t decide on three colours. So I choose a single colour and it looks beautiful. So for anyone wondering what colours or can it be single colour, go ahead. I have found that as a single colour I have carte blanche to put any border I want on and it looks magic. So thank you very much. That’s so great to hear, thank you Lorraine! I love this pattern I would love to make it for my baby. How would I determine the size for a 0-12months baby. Love this pattern. Made two baby blankets with it. 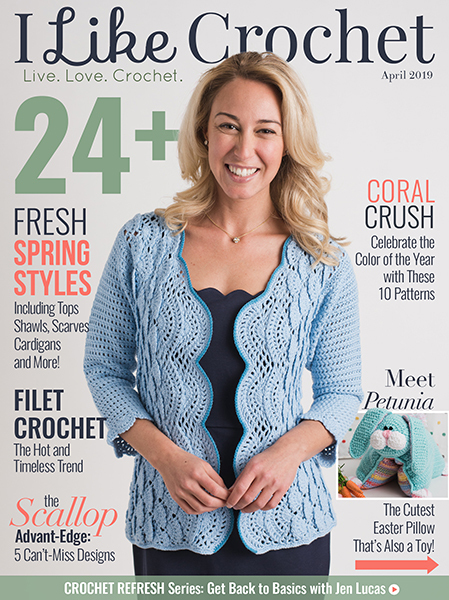 My question is have you ever used this stitch to make a cardigan? Is there a pattern for one? I think it would be beautiful as a sweater or cardigan. I am wondering how to do the last row before starting the border. Unfortunately, I cannot make more videos for this pattern at this time, but I can try to add a chart when I have the time! How much yarn is needed to make this blanket for a seven year old? Do you have a chart or detailed picture of the last row? No, just the instructions for Row 120 in the written pattern. Me gustó mucho este trabajo, ya lo estoy realizando. Al principio tuve un poco de dificultad , pero gracias a tu explicación, me esta quedando casi tan bonito como el tuyo. Muchas gracias. Is there a chart anywhere that will tell me how much of each yarn I need for different sized blankets?? I am new at this and am terrible at the conversions as of yet. hi….i am from India..i just love this love this pattern and cant wait to start..can you please tell me how much yarn i would need to make a king size blanket. Hi Mari! 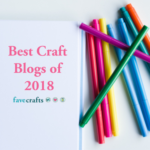 If you look at the written pattern at https://www.mooglyblog.com/oh-my-blanket/ you’ll see that the repeat is Rows 2-5, so no, Row 1 does not get repeated.